Nothing gets in the way more than a rumbling stomach, especially if you have food allergies. You can be fine one minute, and the next minute the stomach pains and gurgling are too much to bear. Sometimes you realize it was something you ate, while other times you are left perplexed trying to figure out what is going on. Regardless, for those with a sensitive stomach from food allergies, these can be familiar feelings, and even knowing the cause probably won't help you feel better faster. When you are faced with a stomach ache, it can leave you running for a bathroom, keep you curled up on the couch, or debilitated in bed. For many, it can impact daily living, and lead to missed work or school. While most people suffer from an occasional upset stomach, those who have food allergies know that cross contamination with their food allergen or accidental consumption of the food allergen itself can lead to an upset stomach, among other negative (and in some cases dangerous) reactions. It is important to note that if your symptoms get progressively worse, or include any difficulty breathing, that you seek medical attention right away. If your symptoms are mainly confined to an upset stomach, though, read on for some tips to help ease that stomach distress. Chamomile Tea: Chamomile can help ease stomach pain by working as an anti-inflammatory and by relaxing the smooth muscle. As the muscle in the upper digestive tract relaxes, the contractions that move food through it ease up, relieving the pain of cramping and spasms. 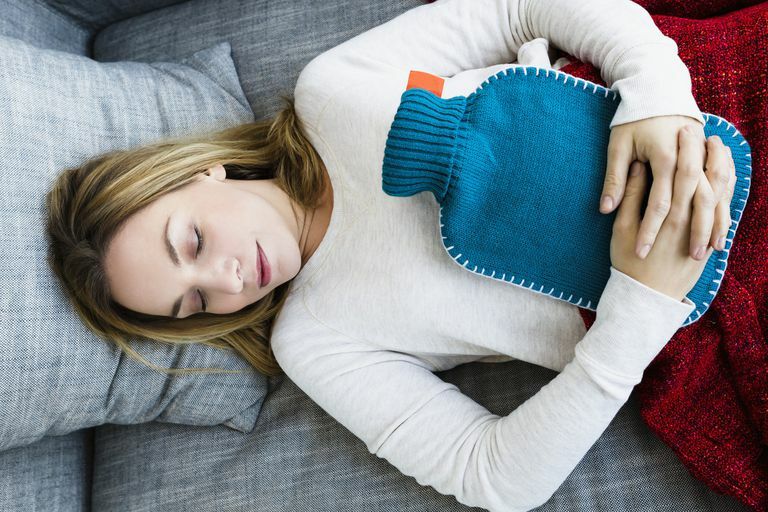 Heating Pad: Either a heating pad or a hot pack should be placed on your abdomen to help reduce pain. The heat will help to loosen and relax muscles and relieve some discomfort. Soaking in a warm bath may also help, since the heat may have the same effect as a heating pad. Ginger Root: Ginger contains chemicals that have been found to relax smooth muscle, especially those in the intestinal tract. Consuming ginger will move food more quickly and more easily, helping to relieve stomach cramps. Ginger has also been found to relieve nausea as well. Ginger tea, ginger root or even ginger ale are all acceptable sources of ginger. Seltzer and Lime: Lime has been found to help in soothing an aching stomach. Lime’s scent actually causes your mouth to water, increasing the production of saliva. With more saliva, your stomach increases its production of digestive juices, aiding your digestion. The acidity of the lime also continues to stimulate the digestive system, bile, and acids. All of this help to soothe the stomach as food moves more quickly and easily through it. It is best to slice your lime and add it to a glass of seltzer. While the lime soothes the stomach, the carbonation can play an additional role in causing you to burp, which can relieve stomach pressure at the same time. Apple Cider Vinegar: Apple cider vinegar has been found to have an antibiotic nature, and helps to soothe the stomach and aid in digestion. It can be added to warm water and served with a teaspoon of honey. While these tips might help you to feel better in the short run, you also should focus on avoiding repeats of the problem. If you have food allergies, it's critical to understand the importance of food safety and how to read labels. In addition, you must always be sure to ask about food ingredients and preparation when dining out. If you have questions about what foods are safe, or how to protect yourself from allergens when socializing, talk to your allergist. Working closely with your allergist and perhaps a dietitian can help you to reduce the incidences of allergic reactions. American College of Allergy, Asthma, and Immunology. Food Allergies: Causes, Symptoms and Treatment fact sheet. There's Lots of Hype on Probiotics for Food Allergies. Can They Help?